Posted 10/13/2010 9:45pm by Renee Savary. The farm will be open from 10 am to 4 pm. Farm tour every 2 hours starting at 11am. Chandra Hartman of CFH Design Studio will provide an opportunity for farm-tour-goers to discover the world of permaculture (ecological design); an ethics based design system for creating sustainable communities. Chandra will also display and discuss how to create a small hugelkultur bed that can be created from readily available natural resources. This is a great way to make raised or sunk beds that retain moisture and are nutrient rich with minimal cost. Raw food chef Jenifer Kuntz, owner of Raw and Juicy Organic Juice Bar, will show you how to make raw yogurt from cashews and coconuts and, will demonstrate how to boost your vitamin and nutrient intake by preparing kale into a delicious ready-to-eat salad. Increase your energy, and learn new easy raw food recipes during your visit. With Arix Zalace learn the importance of earth worms for a healthy planet. Arix will talk about vermicomposting, and the many ways you can use earth worms at your home and in your garden. Our shop will be open and all our goodies, from eggs to preserves, will be available for purchase. light lunch, featuring the farm own products and some of Jenifer delicious raw food available for purchase. close shoes, we will clean up the place nice but it is still a working farm. No smoking ... not sorry about that one !!! Pass small bridge with kids play ground at the corner of SR79 and Creek Road. Posted 9/23/2010 2:25pm by Renee Savary. Posted 9/14/2010 6:52am by Renee Savary. Posted 3/23/2010 7:56pm by Renee Savary. Renowned photographer Eric Marcus was at the farm this week end and he took beautifull pictures ... here is a sample. Posted 2/25/2010 9:00pm by Renee Savary. Long day today so my thoughts are going to be shorts !!!! This week I read Michael Pollan's last book : Food Rules. If you dont know him or have not read any of his books (which planet have been living on??) : go buy them all and read them all, the guy is brilliant and his view on our food system is right on target. Now if you know him this littlle book is really good, nothing really new in it but the format is prefect to take around with you as a reminder and if you are not an avid reader it is really small with large print !!!! What I mean is NO excuses !!! And it is on this "science" that processed food is "created". Actually he does not call it food, he calls it "edible foodlike substances", of course I loved it !!! On a not so funny note he writes about our so-called Western diet, which consist on a lot of processed food, meat, lots of added fat and sugar, lots of refined grains, lost of everyghing except vegetables, fruits and whole grains and he explains that virtually all of the obesity and type 2 diabetes, 80% of the cardiovascular diseases and more than 1/3 of all cancers can be linked to this diet. Four of the top 10 killers in America are chronic diseases linked to this diet. What an extraodinary achievement for a civilization : to have developed the one diet that reliably makes its people sick !!! But he also notes that there is a very hopefull fact : people who get off the Western diet see dramatic improvements in their health, good research suggest that the effects of the Western diet can be rolled back and relatively quickly. So People there is Hope ... that is if you change the way you eat !!! Posted 2/17/2010 2:34pm by Renee Savary. and maintening chickens in your backyard. includes workshop packet and light lunch. We will cover housing, brooding, watering, feeding and free roaming. 3 weeks old certified organic babies Rhode Island Red. 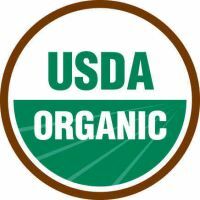 USDA certified organic feed without soy. and everything you will need to leave the workshop and start raising your Own. Limited enrollment. Workshop raine or shine. Gift certificate available. No refunds, credit for produts only. Register by returning email to reserve your space. Let it ... snow !!! Posted 2/12/2010 3:58pm by Renee Savary. Snowing at the farm ... and yes we are still in Florida !!!! Posted 2/12/2010 1:21pm by Renee Savary. Beyond the point, the article mentionned the whole "business" of selling, let's call it junk, to help raise money to pay for new sport uniforms or other extra cruricular programs !!! quite paradoxal : selling junk to pay for sport equipments !! it is really sad to think that schools have to go to that extend because they don't have the adequate fundings!!! Now to the point missed: I have cookies or cake every afternoon and I would not want someone to take it away from me (make me unpleasant). BUT I bake my cookies/cake which usually include: sugar/flour/eggs/butter and, depending the mood and the week, from nuts to dry fruits to chocolate ... in short the usual home made organic taste delicious cookies. NOW have you ever read mass produced cookies's labels ??? (yaya I went back to the store with my little notepad) I found out that they all have more or less the same ingredients from : palm kernel oil with TBHQ for freshness (no kidding and I am quoting) (see my google result below), cocoa processed with alkali, Polysorbate 60 (often used in cosmetics to solubilize essential oils into water-based products. Polysorbates are oily liquids derived from PEG-ylated sorbitan (a derivative of sorbitol) esterified with fatty acids.) yup I did not know either !! Vanillin : an artificial flavor (sic) (all spelled out), soy lecithin (even my chickens dont eat soy) etc etc etc from yellow #5 to red #40 you got it and here where the real problem is NOBODY goes after the manufacturers of that junk, of course kids (and grownups) are going to buy it : it is available in quantities and it is CHEAP (here again) and as long as nobody will forbid the food manufacturers to put in your food the same stuff you find in your body lotion (polysorbate) why should they stop ??? If we want to stop the health problems of generations of kids let's stop to produce the crap ... if kids are not buying it at school then they will buy it somewhere else. In the meantime you can buy real cookies at the farmer's market. TBHQ is another ingredient that is in alot of food products. TBHQ, tertiary butylhydroquinone, is an antioxidant derived from petroleum. TBHQ is a form of butane, i.e LIGHTER FLUID, that the FDA allows processors to use sparingly in our food. Ingesting a single gram of TBHQ can cause “nausea, vomitting, ringing in the ears, delirium, a sense of suffocation, and collapse.” TBHQ used in lab rats has cause cancer, stomach ulcers, and damage to DNA. Ingesting 5 grams can kill. And here’s a gross fact about McNuggests from McDonalds (they love to see you smile). TBHQ is sprayed directly on the nugget or on the inside of the box is comes in to “help preserve freshness.” They “promise” that each nugget has 0.02 percent of TBHQ oil. Posted 2/8/2010 7:27pm by Renee Savary. I got an email from someone looking for "ways" to produce organic chicken feed CHEAP!!! Ok People we need to get out of Cheap Food LaLaLand, either we change the way food out there is getting subsidies or we accept the fact that real food comes at a price and we need to change the way we eat. Here is how the system works now : MegaFarm is producing corn at $10 a bushel (please don't quote me on numbers or names this just for the purpose of the example) so their cost is $10, here comes UncleSam giving MegaFarm $10 subsidies to each bushel of corn. At this point the cost of producing corn is Zero (0), arrive HFCS inc., mega food manufacturer, willing to pay $5 for the same bushel of corn, of course MegaFarm is happy to sell and makes a $5 profit. I simplified it but this is the principle. Now let's remove UncleSam subsidies. MegaFarm is still producing at $10/bushel and still wants to make $5 in profit therefor they will sell to HFCS inc. at $15/bushel !! Right here the price of your food tripled !!! Of course I am not taking into consideration all the ugly scheme this corn will go through before hitting your plate. Now you wonder where the $10 in subsidies comes from ??? I have news from you ... WE are paying with our tax $$ and subsequent Health Royalties for ever and this is the "beauty" of it : WE pay before we even buy !!! ... There is no miracle or magic formula, Real Food cost to produce, at $6/dozen for my eggs I pay the feed for the chickens that's all !!! Posted 1/26/2010 9:14am by Renee Savary. First full disclosure, I never bought a can of soup, dont ask why but even before I "knew better" I always thought it was easier to make it ... anyway this explain that I am totally facinated by that ingredients list ... so I went back to the store, with my little pad and a pen and yes they look at me funny !!! but then next to it was that cute plastic box containing cubes : beef stock. Ingredients : salt, sugar, MSG, maltodextrin, garlic powder, onion powder, palm oil, wheat flavor, spices, citric acid, caramel, paprika, turmeric, corn starch. You know how labelling works ?? the most comes first, here it is salt !!! I made sure I did not forget the beef or anything closely related to beef ... like beef bones for example. They sell beef stock that does not contain any beef !!! The other day I was watching a re-run of Martha and Michael Polland was on, he said something that I liked very much: you can vote 3 times a day with your fork !! !